Acum 25 de ani, eram la Buzău, în armată. Explozia a avut loc pe 26 aprilie, despre nor s-a aflat în România pe 1 mai, pe la prânz.Parcă era o duminică însorită. Atunci am auzit pentru prima dată ţăcănitul sinistru al unui contor Geiger-Muller… Aş vrea să nu-l mai aud niciodată! Sâmbătă 26 aprilie 1986, ora 01.23.58. O explozie catastrofală a vaporilor de apă de la reactorul nr. 4. 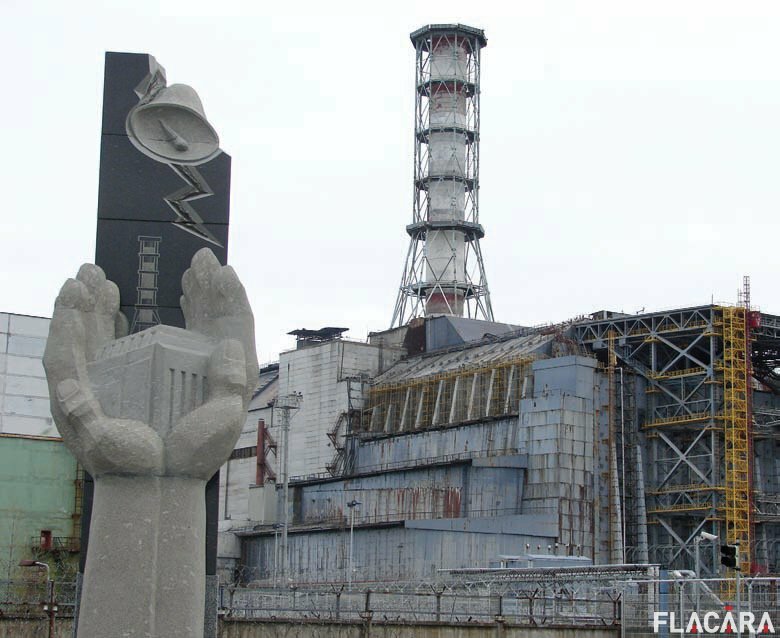 Centrala Atomoelectrică de la Cernobîl se află în apropiere de oraşul Pripiat, Ucraina, la 18 km N-V de oraşul Cernobîl si la 130 km N de Kiev. Construcţia centralei a început în anii ’70 ai secolului trecut. Reactorul 1 a şi fost închis în 1977. Numărul 4 a fost construit în 1983. Următoarele două, 5 şi 6, erau în construcţie în 1986. Modelul reactoarelor: RBMK. La S-E cen­tralei se afla un lac artificial de 22 kmp, alături de râul Pripiat, un afluent al Niprului, care a fost construit pentru a oferi apa necesară răcirii reactoarelor. După explozia de la reactorul nr. 4, din 26 aprilie 1986, norul radioactiv (alcătuit îndeo­sebi din particule de stronţiu, cesiu 137, iod-131 şi plutoniu) a ajuns la un kilometru altitudine. 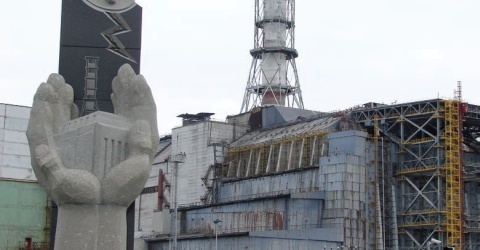 Combustibilul nuclear a ars timp de zece zile, eliberând o cantitate imensă de radioelemente. Numărul victimelor exploziei de la Cernobîl nu se stie cu exactitate nici acum. 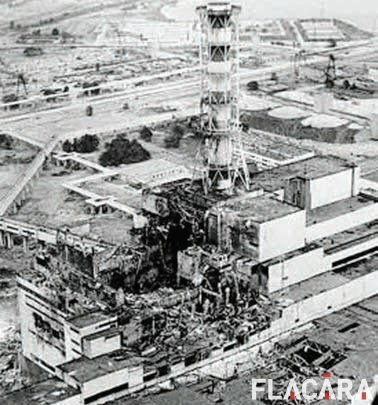 Bilanţul total al victimelor (atât la momentul accidentului nuclear, cât şi în timp, ca urmare a expunerii la radiaţii) variază, în funcţie de sursă, de la câte­va mii de persoane la 100.000. Unele surse neguvernamentale din Ucraina vorbesc chiar de 734.000 de victime în timp ce altele ridică cifra la 985.000. Suprafeţe mari din Ucraina, Belarus şi Rusia au fost puternic contaminate, fiind evacuate aproximativ 336.000 de persoa­ne. Operaţiunea de curăţare a zonei afectate a durat mai mulţi ani, iar muncitorii care au par­ticipat la operaţiune au murit sau au suferit de afecţiuni severe în urma iradierii. Ca urmare a exploziei, în cei 25 de ani de la tragicul eveni­ment, mii de copii s-au născut şi continuă să se nască cu diverse malformaţii. Hi there, I discovered your website by the use of Google while looking for a similar topic, your website got here up, it seems to be great. I have bookmarked it in my google bookmarks. Thank you for another wonderful post. Where else could anybody get that kind of information in such an ideal way of writing? I’ve a presentation next week, and I’m on the look for such info…. Thank you for another wonderful post. Where else could anybody get that kind of information in such a perfect way of writing? I have a presentation next week, and I’m on the look for such information…. Hiya, I am really glad I’ve found this info. Today bloggers publish only about gossips and net and this is really irritating. A good website with interesting content, that’s what I need. Thank you for keeping this web-site, I’ll be visiting it. Do you do newsletters? Can’t find it. One other issue is when you are in a circumstance where you do not possess a co-signer then you may genuinely wish to try to wear out all of your financial aid options. You can find many awards and other scholarships and grants that will give you finances that can help with school expenses. Thanks a lot for the post. Thanks for your post. My spouse and i have always noticed that the majority of people are needing to lose weight when they wish to appear slim plus attractive. Nevertheless, they do not often realize that there are many benefits so that you can losing weight in addition. Doctors declare that overweight people have problems with a variety of disorders that can be directly attributed to the excess weight. The good thing is that people who sadly are overweight along with suffering from numerous diseases can reduce the severity of the illnesses by means of losing weight. It is possible to see a continuous but notable improvement in health if even a small amount of weight-loss is attained. Hiya! I simply would like to give a huge thumbs up for the good info you could have right here on this post. I will likely be coming back to your weblog for more soon. Thanks for sharing superb informations. Your web-site is so cool. I am impressed by the details that you have on this blog. It reveals how nicely you perceive this subject. Bookmarked this web page, will come back for more articles. You, my pal, ROCK! I found just the info I already searched everywhere and just could not come across. What an ideal web site. Very efficiently written post. It will be helpful to everyone who utilizes it, as well as myself. Keep doing what you are doing – looking forward to more posts. I don抰 even understand how I stopped up here, however I thought this post used to be great. I don’t realize who you are however definitely you are going to a well-known blogger when you are not already 😉 Cheers! Great article. It is unfortunate that over the last 10 years, the travel industry has already been able to to handle terrorism, SARS, tsunamis, influenza, swine flu, as well as the first ever entire global economic depression. Through everything the industry has proven to be solid, resilient in addition to dynamic, acquiring new strategies to deal with adversity. There are always fresh difficulties and chance to which the sector must once more adapt and reply. hey there and thank you for your info ?I have certainly picked up something new from right here. I did however expertise a few technical issues using this website, as I experienced to reload the site many times previous to I could get it to load properly. I had been wondering if your web hosting is OK? Not that I am complaining, but slow loading instances times will very frequently affect your placement in google and could damage your high quality score if ads and marketing with Adwords. Anyway I抦 adding this RSS to my email and can look out for much more of your respective interesting content. Ensure that you update this again very soon..
Hi, Neat post. There’s an issue along with your site in internet explorer, could test this?IE nonetheless is the market chief and a huge component of other folks will leave out your wonderful writing because of this problem. Thanks for the concepts you are giving on this blog. Another thing I would like to say is the fact that getting hold of copies of your credit history in order to inspect accuracy of each detail could be the first step you have to execute in credit improvement. You are looking to freshen your credit history from destructive details faults that ruin your credit score. We should be rejoicing for this….